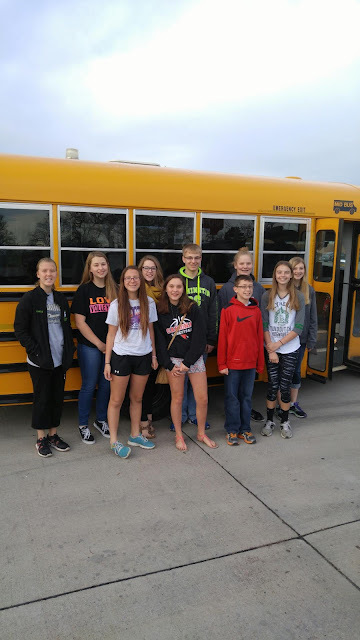 Eight students from Chadron Middle School and two students from Chadron High School participated at the State National History Day competition on Saturday, April 16th. Each of these students qualified for state by placing 1st or 2nd at the regional competition that held at Chadron State College in February. 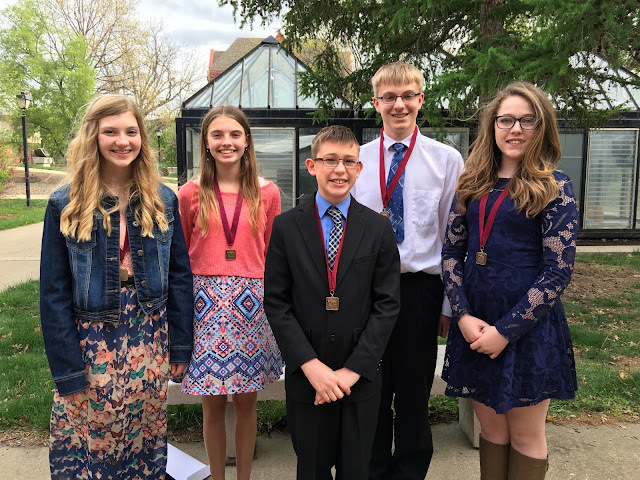 Five of the ten students qualified for Nationals, which will be held in Washington DC in June. Congratulations to all of the students that competed and good luck to those who will compete at Nationals! Students ready to compete at State NHD! 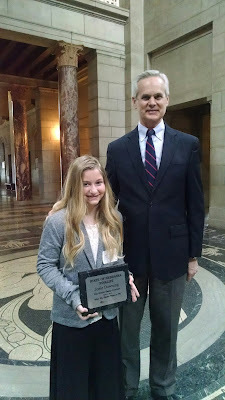 5th Grade Student Finalist for State Essay Contest, "What My Mother Means to Me." Josie D. and her family took a trip to Lincoln last Friday so that Josie could read her essay, "What My Mother Means to Me." Josie, along with other 5th grade students across the state, submitted their essays for the annual, "What My Mother Means to Me" essay contest. Josie earned the trip to Lincoln by having her essay selected as one of top 10 essays in the state. Congratulations to Josie for representing her community, school, and her mother well at the state contest. 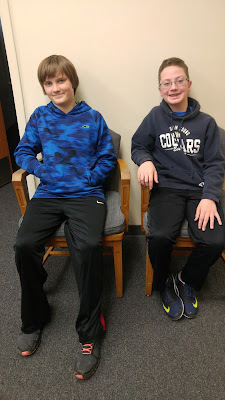 Congratulations to Jameson Margetts (7) and Cody Hall (6) for qualifying nationals at the History Bee Regional finals on March 28th. As far as anyone can remember, this is first time that CMS students have qualified for the National History Bee. Jamesion and Cody will compete in Chicago on June 10th-12th. CMS wishes Cody and Jameson the best of luck at the finals. Great job, gentlemen!